We are happy to announce one more award for MultiplexDX! 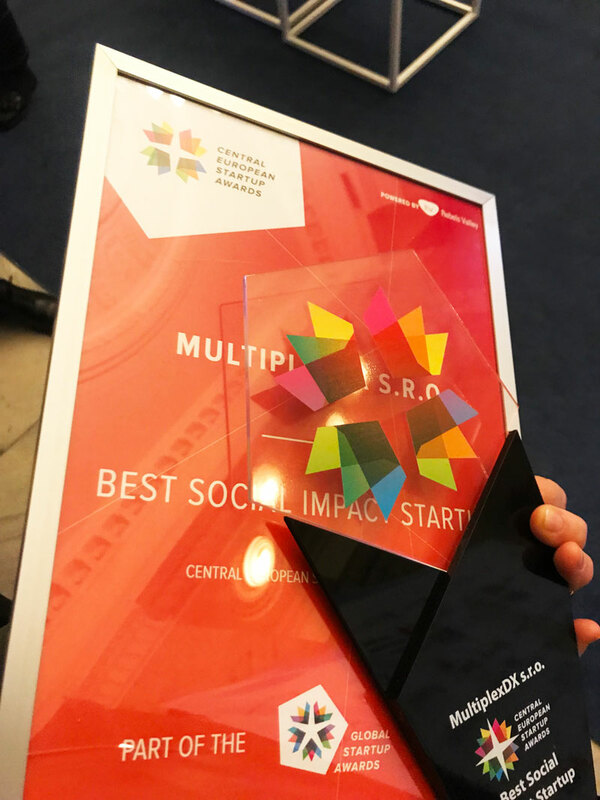 Less than one month after receiving three Central European Startup Awards (CESAwards) during the national round in Slovakia, MultiplexDX won the CEE regional round in the Best Social Impact Startup category. The CESAwards’ regional round was held in Warsaw, Poland, on the 24th of October, 2018. 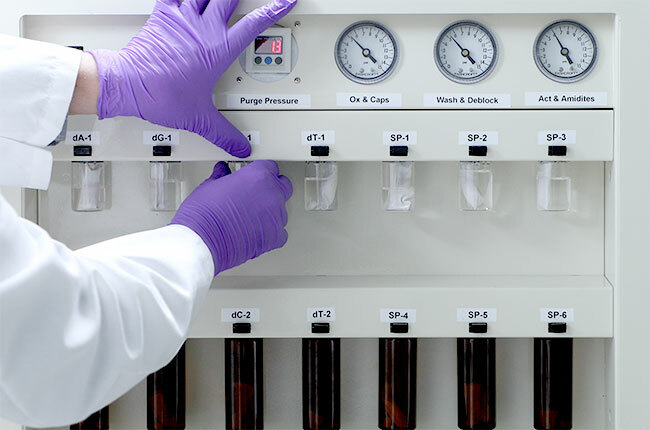 This year, the 5th for the CESAwards, its winners were selected from over 3,500 applicants from 10 CEE countries, and more than 40,000 individual public voters supported the finalists during the selection process. The Best Social Impact Startup category is designated for innovative companies which develop and implement solutions to social, cultural, or environmental issues, and have shown the greatest progress over the last year. Dr. Cekan also mentioned that such competitions are always a great chance to see what impression the company makes and how competitive it is in general. This is precisely the main goal of the CESAwards, which aims to build and develop the startup ecosystem with its unique series of events. This year, 10 countries (Austria, Bulgaria, Czechia, Croatia, Hungary, Poland, Romania, Serbia, Slovakia, Slovenia) were competing in 14 categories, and each country provided a national winner for each category in the Grand Finale. 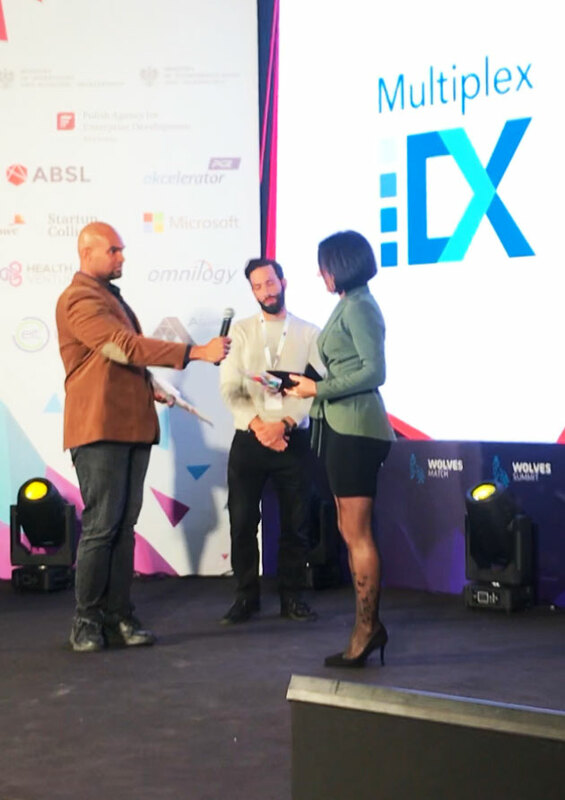 The competition has been running since 2014, with MultiplexDX becoming the first participant from Slovakia to succeed in the regional round. The Central European Startup Awards is the biggest no-pitch, no-conference startup festival in the Central European region. It is a part of the Global Startup Awards, providing an annual spotlight to those who dare to dream big and shape our future. It brings together the best ideas and minds from 60 countries worldwide to celebrate the entrepreneurial spirit and the unique ecosystems of startups.